Inflatable Kayaking Trip - World's 2nd friendliest rafting center. 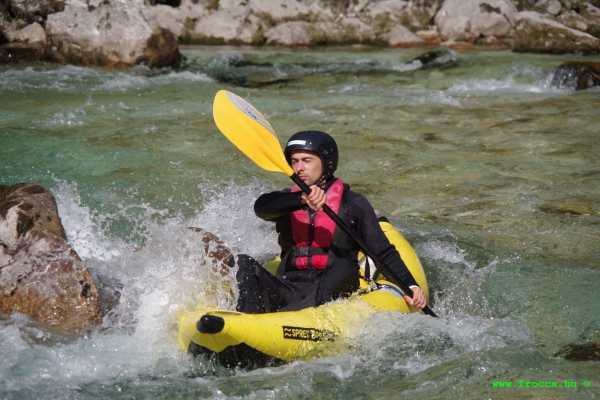 The inflatable kayak is great boat for all who want to go kayaking without having previous paddling skills. Due to its design, it is much more stable on the water than the traditional plastic kayak. The Guppy is a one-person kayak designed to provide the most fun for beginners and experienced paddlers on whitewater day trips. The Ducky is a longer version. It is ideal for bigger or two person. Keresd ki rafting túra képeidet, melyeket meg is rendelhetsz!